It was one of the oddest retirement notices in memory. Concertgoers attending a Dec. 5 performance by Concentus Musicus Wien found in their programs copies of a handwritten note from the storied early-music ensemble’s founder and guiding spirit, Nikolaus Harnoncourt. “Dear audience, my physical strength requires me to cancel my future plans,” the brief communiqué began. Those two concise statements say much about him. Of all the musicians to have come to prominence with the rise of early music, Harnoncourt was the most interesting, precisely because he refused to be cabined by its seemingly simple delineations. He was a trailblazer in the use of period instruments — his farewell note referred to the Concentus and its audience as “a happy community of pioneers.” And yet his lasting influence may well rest not in that specific artistic cubicle but in his wider-ranging thirst for a species of musical performance that was not merely accurate but vivid, risk-taking, and alive. It’s worth thinking about Harnoncourt on this first day of 2016, when a music lover’s thoughts drift toward Vienna and its storied tradition of New Year’s Day concerts at the city’s Philharmonic Orchestra. 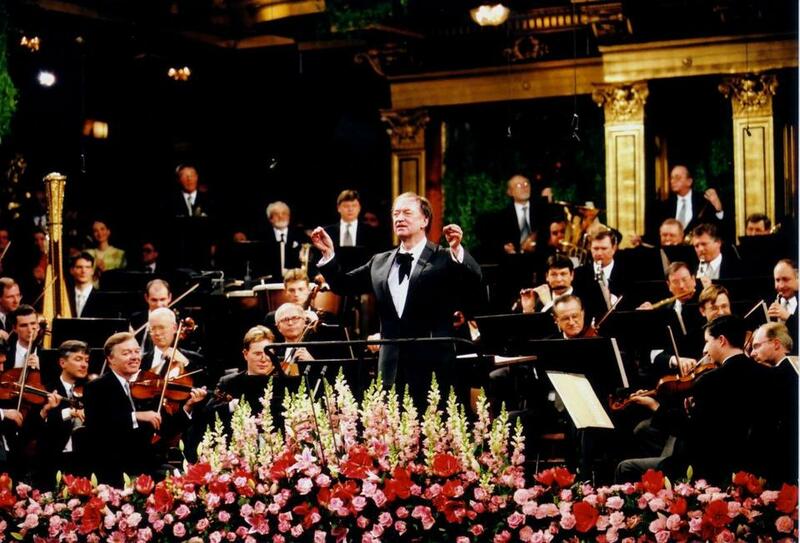 Harnoncourt, who led the New Year’s Day concerts in 2001 and 2003, began his career in 1952 as a cellist with its crosstown rival, the Vienna Symphony Orchestra. So Harnoncourt, along with his wife, Alice, and a like-minded band of renegades, began buying old instruments and traveling through Europe to find and copy old manuscripts, by hand. For years they only played at the Harnoncourts’ home for their own satisfaction. They did not perform in public until 1957, after which they were immediately deluged with invitations to record. That is why, in addition to having kick-started the period-instrument revolution, Harnoncourt also leaves a lasting legacy of performances well outside early-music’s purview. He could be magnificent, he could confound, but he always seemed to bring a new angle to whatever he conducted. He was a marvelous Dvorak conductor, and I have rarely heard better Strauss waltzes than those he led with the Vienna Philharmonic at Symphony Hall in 2003, his last visit to Boston. You would not think of him as a Bartok conductor, but his recording of the Music for Strings, Percussion, and Celesta is wonderfully tough and acidic. And what other conductor would be adventurous enough, at age 80, to learn a new opera — Gershwin’s “Porgy and Bess,” at that? Filling out the set are fine readings of the last two masses and a concert performance of the opera “Alfonso und Estrella.” Schubert’s deficiencies as an opera composer have been rehashed so often as to need no repetition; less well appreciated are the ways in which his genius as a songwriter and his ability to create atmosphere are audible in these works. Whatever its dramatic shortcomings, the opera contains loads of gorgeous music, and the cast, including tenor Kurt Streit and soprano Dorothea Röschmann in the title roles, is excellent — as is virtually everything in this lavishly packaged set.